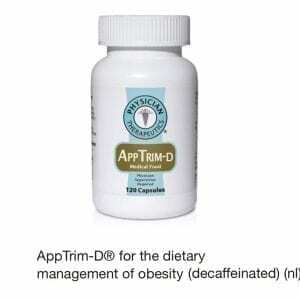 All natural, FDA approved Medical Food for the dietary management of obesity. 120 capsules. Take 2 capsules twice per day (on an empty stomach). A full days dose contains 81 mg of caffeine. Allow at least 3 months of continuous use, for maximum benefits. 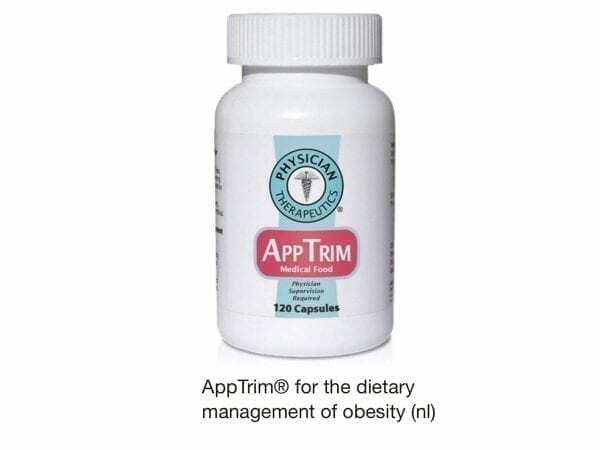 AppTrim works by decreasing appetite and must be used in conjunction with a healthy diet and exercise program in order to achieve optimum weight loss. Prescription required. Fax to 704-896-5809. If you do not have a script, a complimentary evaluation will be provided. by Dr. Lori Schneider. If you would like an evaluation, contact me via email at lorijp@bellsouth.net prior to purchasing the product. No tax and standard shipping is included. 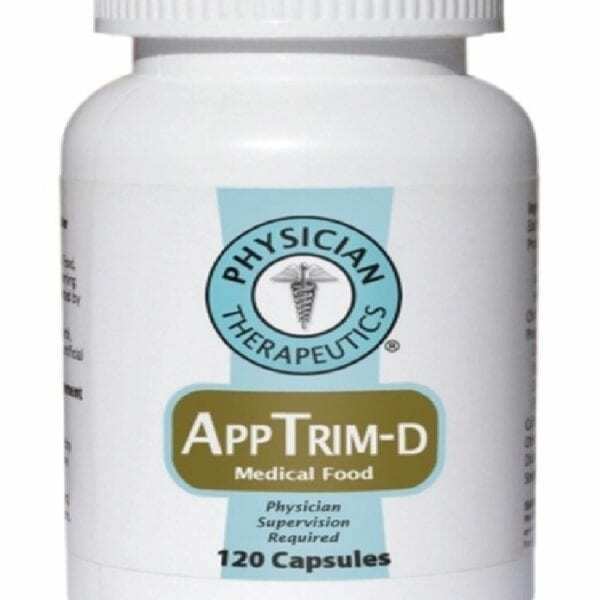 AppTrim is an effective appetite suppressant that can help you control hunger and reduce daily calorie intake. AppTrim is most effective when it is incorporated into a daily exercise and nutrition plan. 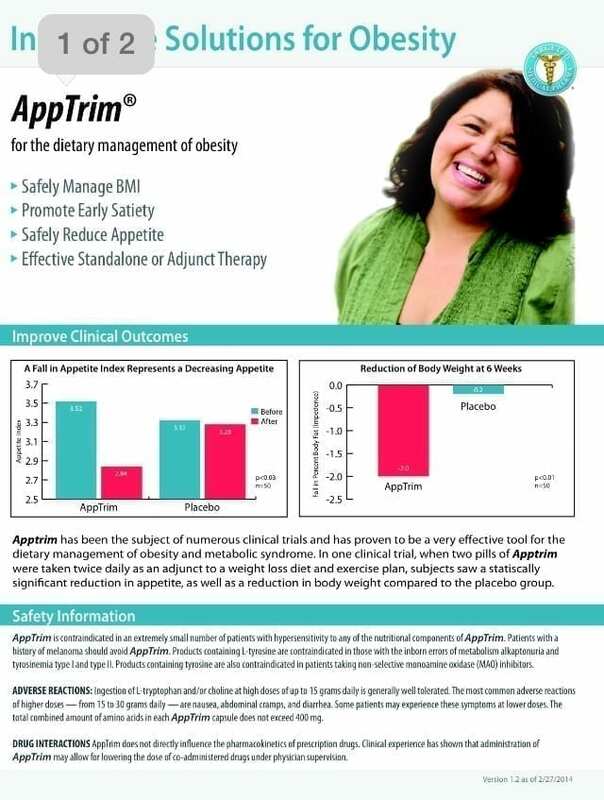 AppTrim is contraindicated in an extremely small number of patients with hypersensitivity to any of the nutritional components of AppTrim. Patients with a history of melanoma should avoid AppTrim. 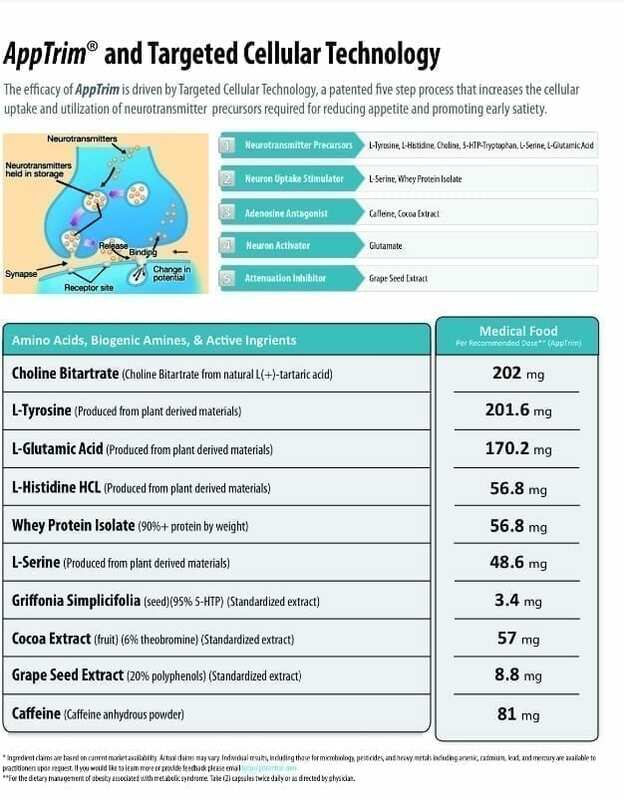 Products containing L-tyrosine are contraindicated in those with the inborn errors of metabolism alkaptonuria and tyrosinemia type I and type II. Products containing tyrosine are also contraindicated in patients taking non-selective monoamine oxidase (MAO) inhibitors.